Souvenirs collecting is a time-consuming hobby. Among all the souvenirs for collecting, badges are unique. 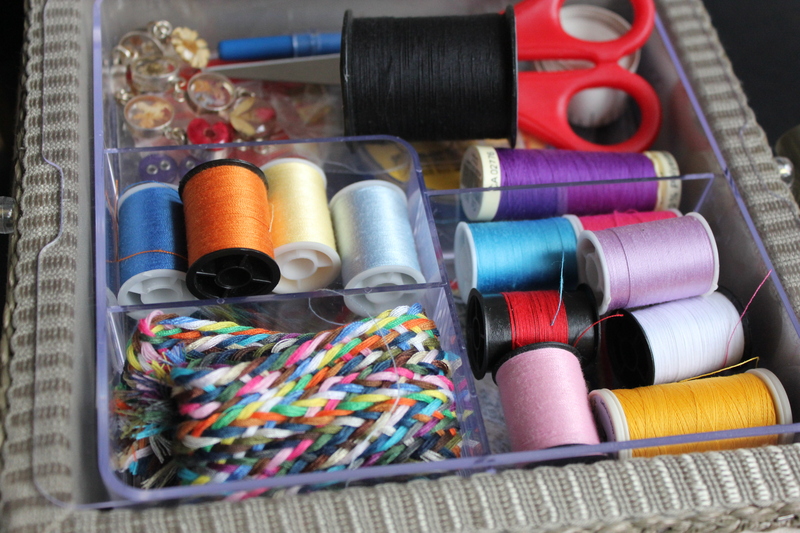 It is not in the condition of display or storage – it is designed to be sewed on other things, it is a souvenir to be dealt with, requires extra action before the final touch. Several steps would be gone through for collecting badges as souvenirs. First is to find it and bring it back home from a trip, secondly to sew it on other material, and finally is the storage and displaying of the piece of material with the badge on. Given all these efforts, I know I am going to see a piece of art work today. Victoria is a female PhD student lives in London now, and she started collecting badges when she was younger. 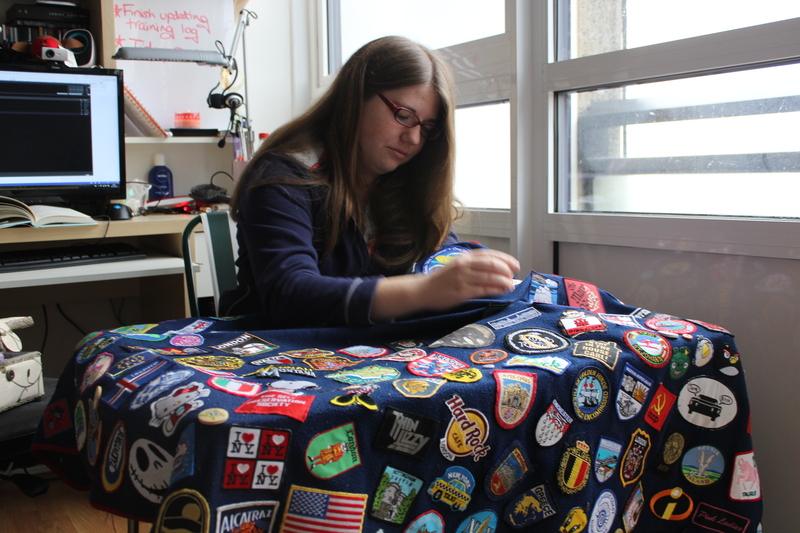 The souvenir she is presenting to me, is a deep blue blanket with lots badges with different colours sewed on the surface. 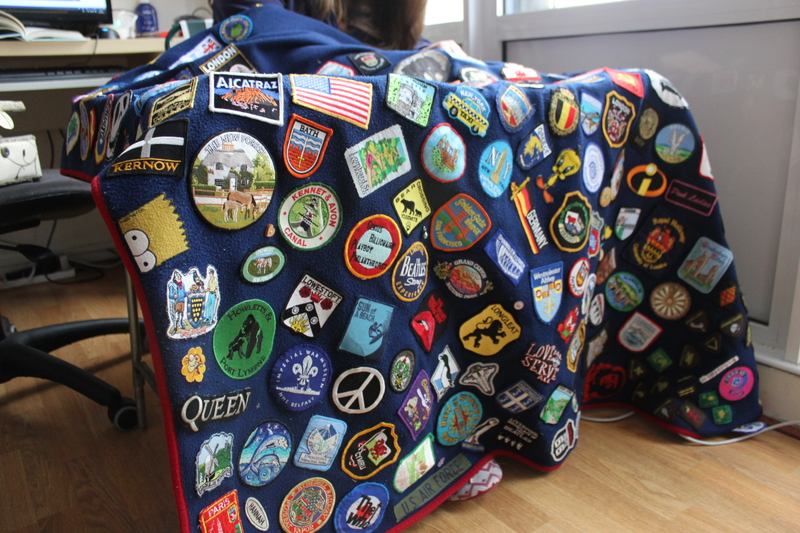 The deep blue blanket is nearly fully covered by badges with bright colour and the visual impact is massive. 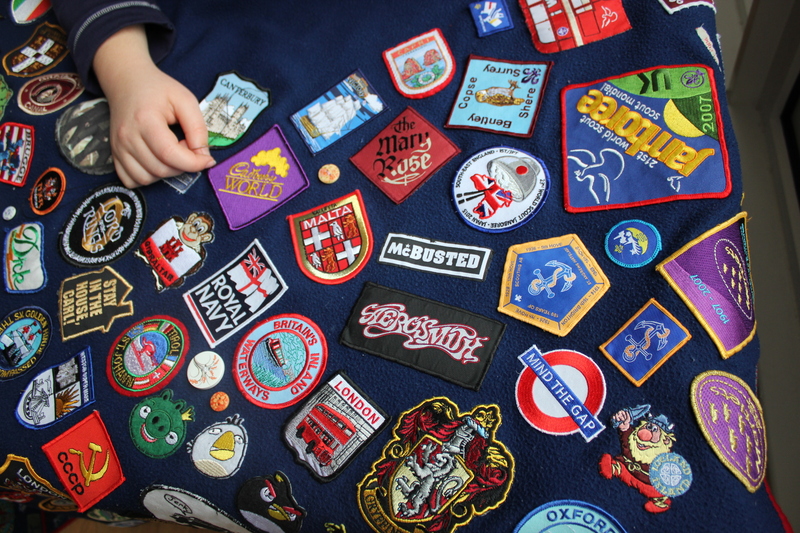 Victoria started to give me an introduction of her blanket with badges. Victoria started looking for something on the blanket. “Ah, here we go”, she find a logo whose colour has faded away in a corner of the blanket then she continues to tell the story how she got her blanket. “You can’t see it very well anymore, but there is the Guide’s logo. So this is like an official Guide in UK camp blanket. And that was the name of my guiding group when I was younger.” She pointed to another faded logo. When asked to show me one badge given to her as present, Victoria chose one without hesitate. “There is one from Florida, from the Everglades in Florida. It was a present from my ex-boyfriend. I myself have never been to Florida.” According to Victoria, what this badge reminds her is her ex-boyfriend, instead of Florida the place. Victoria’s badge collection started souvenirs for events (Scouting etc. ), expanded to travelling souvenirs, took off with place souvenirs, and now is an ongoing project of collecting relations. 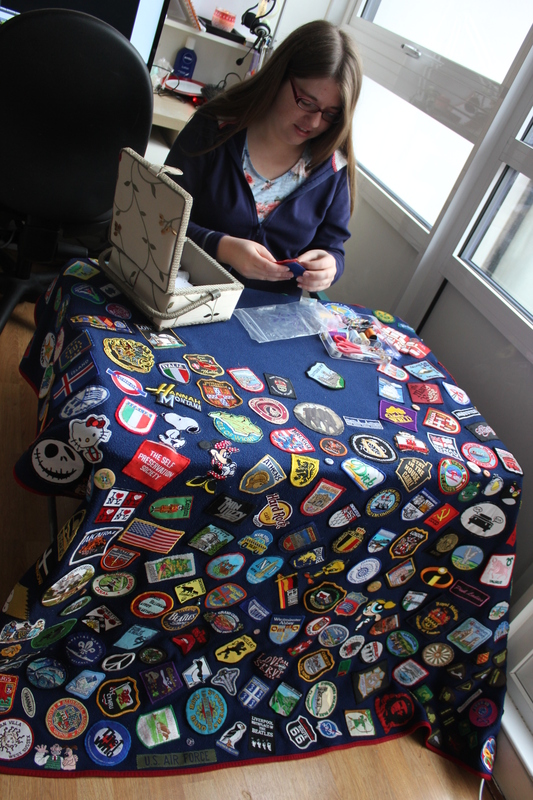 Before being sewed on the blanket, Victoria’s badges are stored in her sewing box, a very good place to indicate their fate to be sewed on the blanket. And some of them will end up in her sewing box. “I have a compartment here,” Victoria lifted the upper compartment and the lower one revealed itself. “These are the badges I’ve got to sew on. They are on my waiting list. I also got some old badges here. Like this one, I have more than one of these. And I have got some buttons here as well. Sometimes I have a big gap on the blanket I will sew some buttons on, because they are pretty, haha.” Space for souvenirs is not just for souvenirs. “Oh but these buttons I got them when I went to Banbury on holiday last year, oh, now is the year before last year. Again they don’t have place name on it but they remind me of that holiday, in Banbury somewhere in Oxfordshire.” In the button’s case, souvenirs and non-souvenirs are sharing one space: the lower compartment of Victoria’s sewing box. This makes me rethink about doing an interview while my interviewee shows me how they deal with their souvenirs. They are easily cast away into memories the souvenirs intrigue. My methods needs to be improved.